Erich the Green: Canadian citizens: learn, vote! In case you hadn’t noticed, there’s an election happening right now, to determine our next federal government. Every Canadian who cares at all about the future needs to learn about their options and make an informed vote on October 19th (or sooner – you can vote in advance polls soon, or at your local Returning Office any day). Make sure you know what you’ll need to vote under new ID rules so you don’t have problems casting your ballot, having made your careful choice. At www.elections.ca, right on the front page, you can check to see if you are on the voter’s list, find out when and where to vote, learn what ID you will need to bring, and what alternative voting processes are open to you, in case getting to your regular poll on October 19 will be an issue for you. But on to making an informed vote. I have seen complaints, right here in the local paper, from people who don’t know what the parties stand for or how their candidates feel, and some even suggest that the parties should be doing more to inform them. Guess what? Parties are already doing everything they possibly and legally can (and in some cases, more) to get their message out to receptive voters. But a riding has tens of thousands of homes, knocking on every door is a challenge for any party, and if you aren’t there when they come by, they may not be by again. Even putting something in every mailbox, or ads in the media, is very expensive. Have you contributed lately to a political party, or volunteered on a campaign? If not, then you certainly can’t complain if they don’t have the money or manpower to push their message in front of your face! Luckily, each of the parties also puts information on the web, about their candidates, leader, and platform. A simple web search (or even just typing the party’s name into your browser address) will get you to the starting point, and from there you can read, or send an email or feedback question, or find a phone number to call a candidate or their office. It costs thousands of dollars to have an office and staff the phones, so do your part to make that worthwhile by calling a candidate with your questions. But if you prefer the face-to-face human touch, don’t wait for candidates to come to your door and hope you’re home and not busy when they do. Many civic-minded local community organizations set up all-candidates meetings where voters can interact with candidates directly, or see them all answer the same set of questions. CARP and the Chamber of Commerce have held local meetings already, with the latter being broadcast repeatedly on RogersTV. Next week will be two events for voters in Barrie—Springwater—Oro-Medonte. On Tuesday October 6 at 7:30 pm, the Community Wholeness Centre is hosting a “meet the candidates” event at their downtown location (59 Maple Avenue). Then on Thursday October 8 at 7 pm, the Barrie chapter of the Simcoe County Alliance to End Homelessness is running an all-candidates meeting hosted by Grace United Church at 350 Grove St. E. Although the overall theme of that debate will be poverty and homelessness issues, members of the public can forward suggested questions to info@scateh.com. 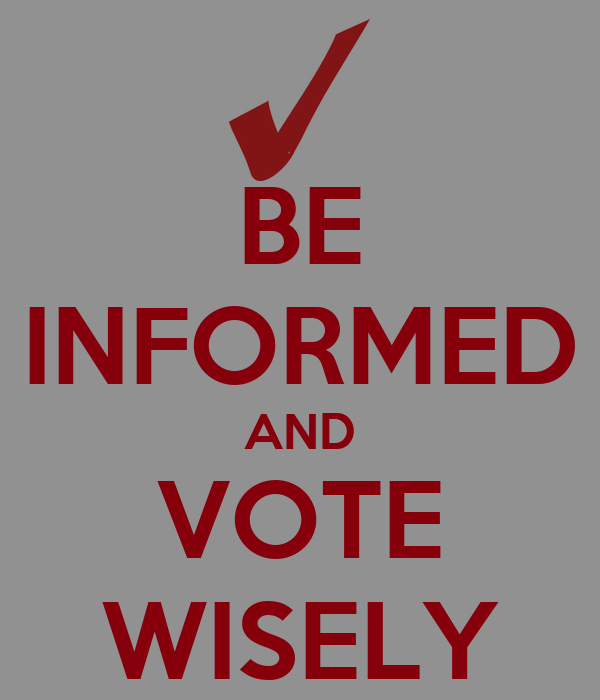 Get informed, get out and vote! Published as my Root Issues column in the Barrie Examiner as "Voters need to educate themselves"